Professional and semiprofessional sports clubs are usually members of a national or international association and participate within the structure and framework of the parent organization. Each member club may be owned by an individual or group of individuals, a partnership, or a corporation. Clubs own or rent office space and training facilities. While these clubs may own the facilities where they host sporting events most of the time they rent large facilities designed for business events, cultural events, educational events, political events, or other types of programs in addition to sporting events. The facility is owned by private or public interests that contract with the club to operate from the premises. Attention must be given to the contract between the club and the structure owners since this will determine actual exposures. Property exposure consists of buildings or personal property owned by the club or for which the club has assumed responsibility. Most stadiums have extensive wiring for lighting, sound systems, and other electronic equipment. It must be in good repair and adequate for the equipment used. Circuit breakers and/or fuses must not be able to be overridden. Stage preparations such as building, painting, or gluing of scenery and displays that could use wood, plastic, or flammables will contribute to the fire load. These materials must be properly controlled, with all flammables stored in approved containers and cabinets. If food preparation is done on premises all cooking equipment must be properly controlled. Smoking should be prohibited throughout the facility. Training facilities may be located at a separate premises. Similar considerations must be made at those facilities, along with separate contract negotiations. Crime exposure is from employee dishonesty and theft or destruction of money and securities. Employee dishonesty coverage should be extended to include volunteers. Background checks should be conducted on all employees and volunteers handling money. Employees who are in charge of ordering must not be the same who handle disbursements and billings. Frequent inventories and audits must be conducted for adequate monitoring. There should be a centrally located locked cash room with a guard on hand to protect the employees and money. All monies should be double counted and balanced with cashier balance sheets. All cashiers must be held accountable for shortages. Money should be stripped regularly from cashiers’ draws in order to prevent a large buildup of cash. Inland marine exposures include accounts receivable, bailees customers, commercial articles, computers, and valuable papers and records. Accounts receivable, computers and valuable papers and records, particularly contracts, present important exposures to loss. There is considerable property of others exposure. Contracts should be reviewed to determine if bailment situations are created with the athletes, speakers, performers, and guests. Many teams have a training location and a regular season location, plus numerous items that must travel with the team for away games. Occupiers’ Liability exposure is high due to the large numbers of visitors on premises. Public and life safety exposures are very important. Good housekeeping is critical to preventing trips, slips, and falls. Adequate lighting, marked exits and egress are mandatory. Steps must have rails, be well-lit, marked, and in good repair. Security at events in the building, corridors, and parking areas needs to be carefully checked and reviewed. The stadium and practise facility may present an attractive nuisance hazard when not in use. There must be adequate security to prevent unauthorized entry to children, vandals, or would-be terrorists. Contracts with suppliers, vendors, event planners and performers must be clear as to all responsibilities. Liquor liability exposure can be quite extensive at a sporting event. There must be procedures in place for checking IDs and refusing to serve intoxicated individuals. Also, there should be a “cut-off” time well before the end of the game to prevent visitors from excessive alcohol consumption prior to driving home from the event. Professional liability exposure comes from any medical doctor or nurse who is part of the staff. The relationship and responsibility for providing insurance must be spelled out in a contract, including the type of procedures that can be handled by the medical professional. Automobile exposure is a major concern since athletes must be moved from one location to another. If employees are drivers, any licence must be appropriate for the transport of individuals. Team buses must be well maintained and maintenance records should be retained. MVRs must be checked on a regular basis. Workers compensation can be very high. Employees who set up, build, or transport stage settings, equipment, lighting, and scenery have exposure to cuts, electrical shocks and burns, back injury, hernia, slips and falls, strains, or sprains. Hawkers, peddlers, and vendors employed by the stadium to sell wares in the stands have high potential to slips and falls as they ascend and descend steps carrying items to sell. Stage and lighting setup may involve above-ground exposures that need additional protection and precautions to avoid falling from heights or being hit by falling objects. Adequate security and training must be provided to employees handling money in ticket booths, gift shops, and concession stands to reduce the possibility of injury due to holdups. Security personnel must be trained to deal with both holdups and unruly patrons. 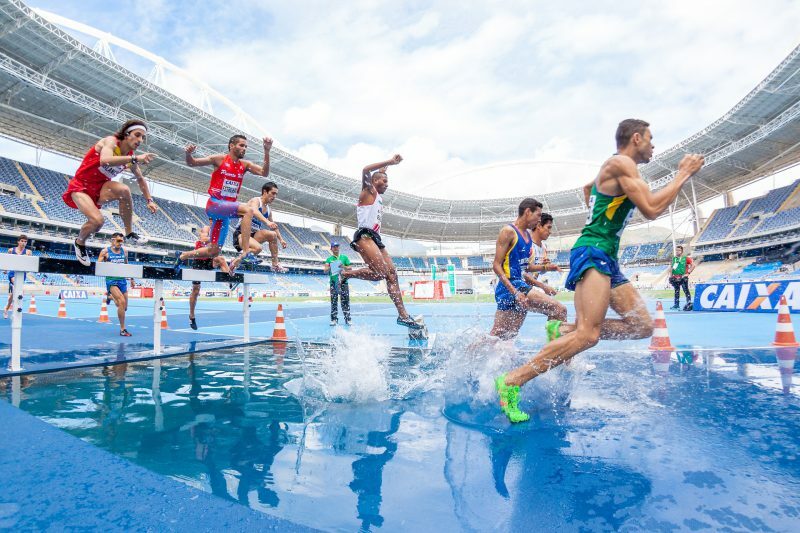 Highly-paid athletes may be injured during training, while travelling to away events, or while competing with other clubs. Their contracts should state whether they are employees of the club or independent contractors. Instructors, coaches, trainers, and others in related positions may experience sports-type injuries. The legal status of those positions needs careful review to evaluate the actual potential for loss. Employees may have significant travel-related exposures. The type of travel, frequency, and mode of transit require review. Any owned vehicles or craft will result in substantial additional exposures.